In its june issue, the well-known Dutch horticultural journal “Onder Glas” (www.onderglas.nl) published an article on the applications of Nutrimite in cucumber. 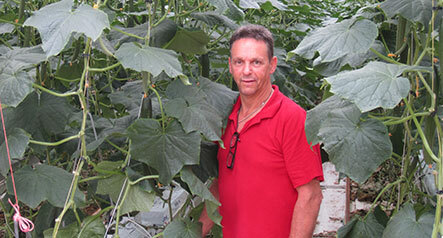 Under the title “Supporting population establishment of natural enemies in the crop, a new avenue in biological control opens up”, several Dutch cucumber growers share their enthousiasm on the results achieved with NutrimiteTM as a powerboost for A. swirskii. By applying Biobest’s new food supplement in the crop, A. swirskii reaches much higher population densities then one can normally achieve. As a result of the high predatory mite densities achieved, growers are extremely satisfied with the control of challenging pest problems such as thrips and whitefly in their crop. “Onder Glas” is currently only available in Dutch language, your Biobest advisor will be happy to share these experiences in your language.